It’s been twenty years since a car accident in Paris brought an end to the life of one of the world’s most beloved figures, Princess Diana. In addition to the glamour she was well-known for, she also served as an important ambassador for the AIDS crisis, ensuring people that there was no need to treat those patients as lepers, as well as many other causes, including children’s charities and banning landmines. And though her death at 36 was a shock, her legacy as the “people’s princess” has lived on. Remember her through one of these books. A portrait of the late Princess Diana examines her relationships with the various women in her life, including her sexually charged mother, scheming grandmother, hated stepmother, competitive sisters, and the “other woman,” Camilla Parker Bowles. Draws on interviews with individuals closest to the late princess to discuss her life behind the scandals, tracing her courtship with Prince Charles, transformation into a high-profile public figure, and the collapse of her marriage. An intimate portrait of the Princess of Wales describes her public and private life, reveals details about her marital problems, and discusses her attitudes toward motherhood and public service. A compilation of recollections warm and intimate, celebrating Diana for her ability to make a human connection with everyone she met, and about her human failings and frailties. Offers a moment-by-moment account of the final day in the life of Diana, Princess of Wales, tracing the activities, movements, and emotions of everyone involved in the tragedy. Provides insight into the haunting effect of Princess Diana’s legacy on the British royal family ten years after her tragic death. Annotations are courtesy of NoveList Plus. Use your TFPL card to log in to NoveList Plus for more great reading resources, including reviews, series information, and suggestions. 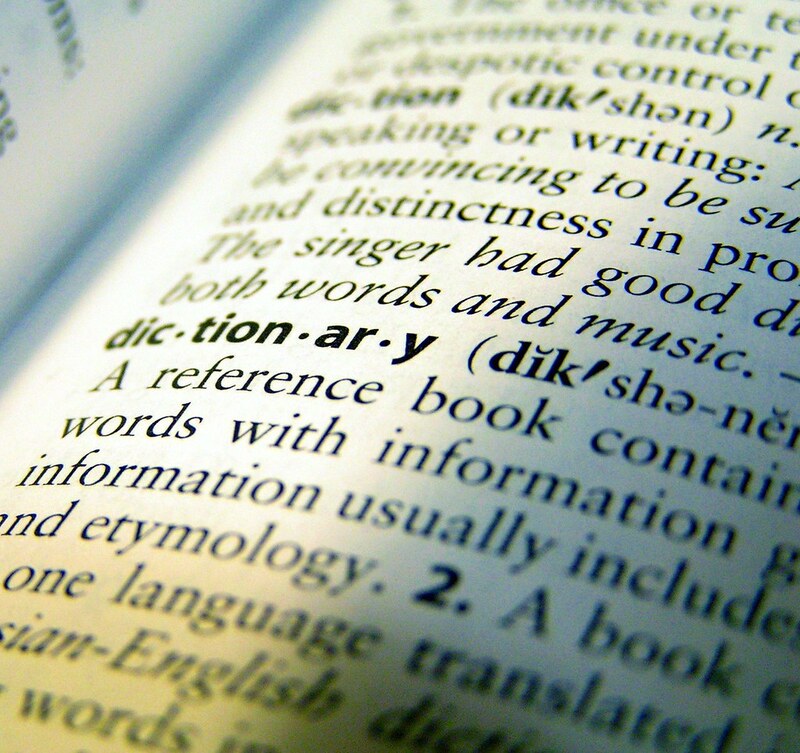 The dictionary is having a comeback – or at least, the snarky version has been lately. The Twitter account for Merriam-Webster has been throwing some serious shade (if you’re older than 30, you might need to look that word up) at celebrities, politicians, and anyone else whose use of the English language is less than clear. In fact, they’ve been having so much fun tweaking others, they’ve developed quite a following – more than half a million, to be precise. All this new interest is driving a renewed look at language. If you’re a budding wordsmith, or even just a little word-curious, check out their newest online feature. It’s called Time-Traveler and it will tell you what words came into the English language during a given year. So, check out the year you were born – or any specific year going back to Shakespeare’s time (he added a ton of new words, by the way). Putting the words into a historical context is even cooler than just looking up their meaning! If you haven’t heard by now, we’re going to be experiencing a partial solar eclipse here in Twin Falls next Monday. And, if that’s truly news to you, you might need to get out more. Of course, you’re invited to celebrate with us – we’re throwing a SUN BLOCK PARTY on Monday, Aug 21 from 10AM-Noon. There will be activities, crafts, games, glasses (while supplies last), and music. Speaking of music, we’ve put together a quick playlist for the Eclipse in case you need a soundtrack for the event. All of these songs can be downloaded, or streamed, through our free digital music source, Freegal. Nelson Mandela was released from prison in February, after 28 years. Only four years later, he became the President of South Africa. The Hubble Space Telescope was launched in April – and after overcoming a few malfunctions, has been sending us images from deep space for 27 years. In October, East Germany and West Germany are reunified after the division of 1945, and Berlin was reinstated as the capital of Germany. Maybe not quite as momentous, here are the best selling books according to the New York Times, for the week of August 12, 1990.